Earlier this year, semi-retired, part-time university lecturer Mrs Irene Tay sold her HDB double-storey terraced house on Jalan Bahagia for $685,000. She and her husband had purchased the 840 sq ft, three-room house for $420,000 in 1997 when their son was enrolled in St Andrew’s Junior School in nearby Potong Pasir. 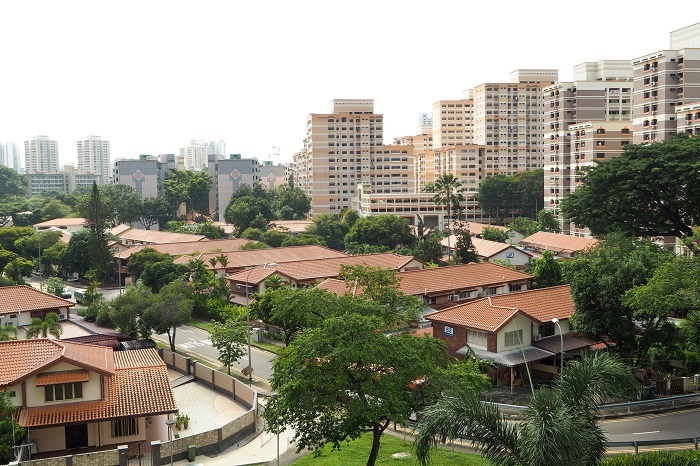 However, the HDB terraced house has a 99-year lease from 1972, which translates into a remaining lease of 53 years. Tay was concerned that if they did not sell the property, the pool of buyers would shrink further as the lease runs low. This is because in 2013, the government made a few policy tweaks with regard to buying HDB flats with short leases. Buyers of HDB flats with less than 30 years on their remaining lease are not allowed to use their Central Provident Fund savings, said Ray Teo, PropNex Realty branch district director, at an EdgeProp homebuyers’ seminar on Aug 16. That applies to private residential property too. Those buying HDB flats with a remaining lease of less than 60 years are subject to restrictions on their use of CPF. Teo calls it “the 80-year rule”, that is, the combined age of the homebuyer and the remaining lease on the property has to be at least 80 years. For instance, if a homebuyer is 40 years old, he will only be able to purchase an HDB flat with a remaining lease of at least 40 years.